I tried to photograph the pleiades today (11-19-2006). However, I failed to target the camera precisely so my images did not show the pleiades. It is not easy to precisely target a digital camera in the dark night, because the stars do not show up on the LCD display (at least not on my Finepix camera). Therefore, I decided to try a large constellation that is more easy to target. 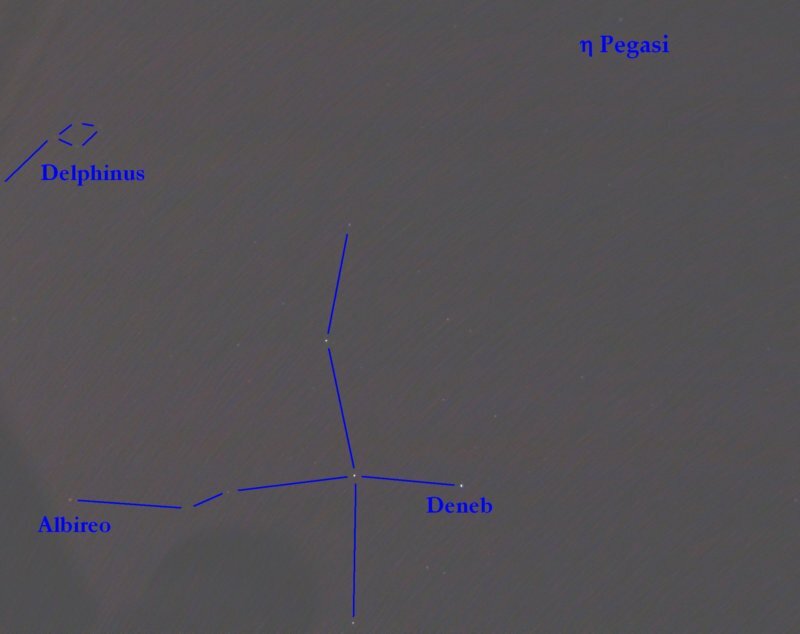 So here we have an image of Cygnus, the swan, also called the northern cross. I stacked 18 images together and the result is not too bad (remember, the longest exposure time for my camera is 3s). There is even a portion of Delphinus in the image. I am still waiting for my new Panasonic DMZ-TZ1. So, here is Cygnus, taken on 11-19-2006.